While most health insurance providers don’t typically cover LASIK, they’ll often offer a discount to their members. 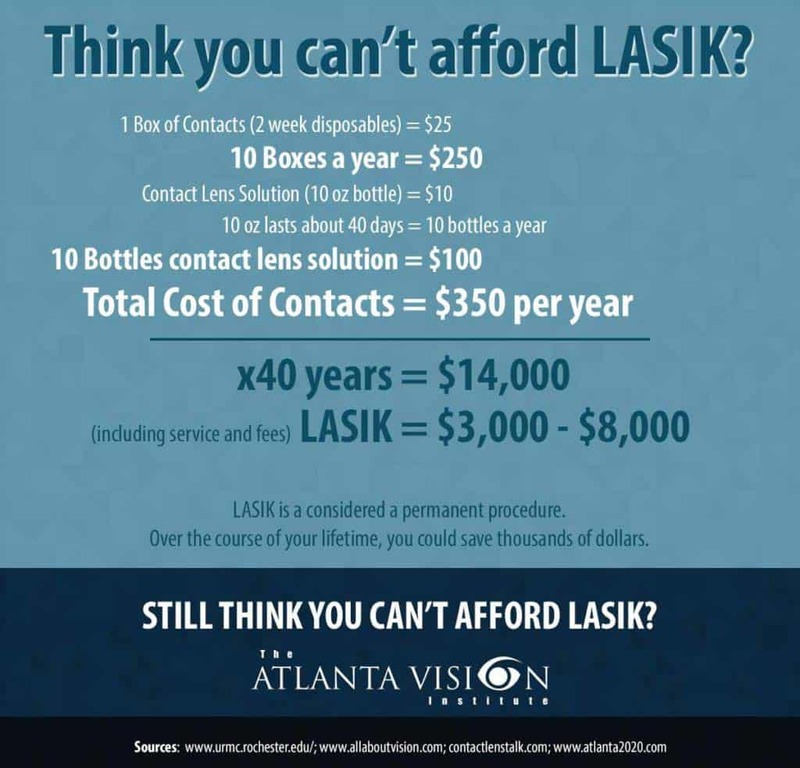 The insurance carriers we accept at the Atlanta Vision Institute are listed below. If you don’t see your provider on the list, call us at (770) 622-2488 to see if you qualify for a discount. For some patients, a monthly payment plan makes more sense than paying for your LASIK up front. In the spirit of helping our patients in any way that we can, we have teamed up with Wells Fargo and Care Credit to make LASIK payment plans a reality. For those with approved credit, a number of plan options are available. Choose the plan that works for you, and start immediately enjoying your favorite activities without the inconvenience of glasses or contacts. Get answers to any other financial questions you have or schedule an appointment by calling (770) 622-2488. You can also schedule an appointment online.